We know it can be scary trusting your little one to leave the nest. The world is big, and it can feel overwhelming not to know exactly where they are. Eventually, you’ll be at peace with their autonomy, but if they’re still on the young side and need a little extra supervision, sit down and talk to them about the following GPS trackers. Most of these are fun watches, with some small portable devices if you’d prefer they put it in a backpack or on their bike. Open conversations about using modern technology to stay in touch and communicative leads to a solid foundation of trust between parents and children. If you’re in the market for a GPS tracker, we’ve gathered ten of the finest here for you and your child to peruse together! Our research team has recently reviewed and revised this guide to bring you only the best. We’ve replaced a few products that were unavailable or showing low performance ratings. You’ll find two new products in their stead that we think you’ll be even more delighted by. Technological advances happen seemingly every day. This list was updated to reflect the best technology available so you can be confident your children are where they are supposed to be and when. 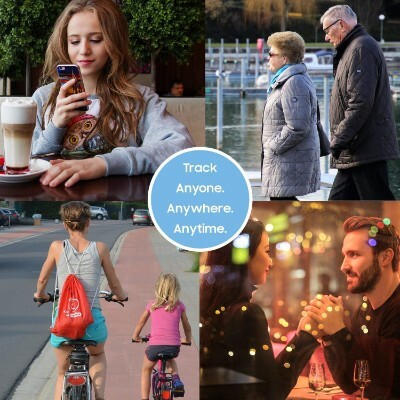 GPS tracking provides parents with an extra level of security and peace of mind. All products details, availability and pricing also were researched and verified. If you’re new to GPS tracking and don’t want to overwhelm your kids too much with it, the Spy Tec STI GL300 is definitely one device to consider. Understandably, it sounds like something out of a James Bond movie and looks somewhat like it as well, but it’s actually a relatively simple tracker. Not to mention, each tracker comes with the guarantee that you’ll have full coverage no matter where your child is. Included in this guarantee is a lifetime warranty because Spy Tec is that confident that you’ll absolutely love this tracker and that it’ll do what you need it to. Included with it is a choice of three separate plans, each offering their own benefits and features that you can decide are right for you or not. Some of the benefits include real-time tracking, notifications via text when your child leaves a certain area, speed tracking, etc. This is one smart option for keeping up with your child’s location at all times and can really be a huge step in keeping them safe. Yet another great invention to come out of the age of fitness is the coveted fitness tracker. These types of “smartwatches”, if you will, were heightened in popularity with the premiere of the Apple watch and the Fitbit, which monitored every aspect of your fitness routine. Similar to a FitBit, this watch is the perfect way to keep track of your teen without being intrusive and handing them a device they won’t want to carry around. It’s the extra features that will convince them to wear it, but it’s the GPS tracking that’ll make you feel much safer letting them out on their own. The style of this GPS tracking watch is super sleek and minimal, which gives it a mature feel. It’s great as a gift to your child who can take comfort in the fact that you’ll always know where they are when they’re wearing it. However, now they also track your routes via GPS which can be a fantastic thing if you’re a parent looking to get your child a tracker but don’t want something too obvious or embarrassing for them. This fitness watch is a great option because yes, it comes with other features that they’ll love, but the main thing is that it’ll track them wherever they are. 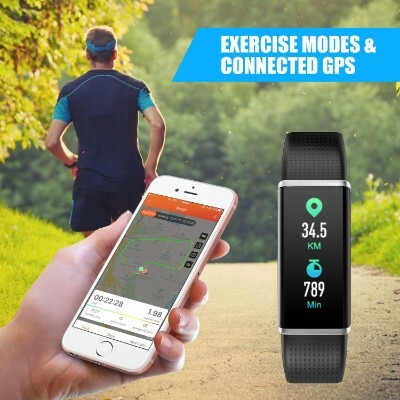 Because of the fact that it’s designed to track walking and running routes, this watch will easily track them wherever they are and all of that data will go straight to your smartphone. It’s also super stylish and comes in six different color options. You might be a little confused initially upon seeing this “Foot Pod” by Garmin, but once we explain it, we think you’ll learn to love it quite a bit. The Garmin Foot Pod is probably one of the smallest GPS devices you’ll see outside of a spy movie, and that’s because it’s primarily used by runners to track their courses, mileage, etc. The idea behind this type of GPS tracker is really unique and really stands alone in the method in which it works. By combining the best of the smartphone world with the minimalism that is a tiny device with one job, you have a great tracking device. 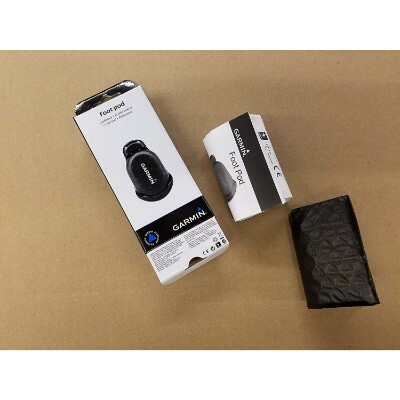 However, the Garmin can also be used to track movements, period, and it’ll send data straight to any smartphone device that’s capable of connecting. The neat part about this GPS tracker? It attaches to your shoes! 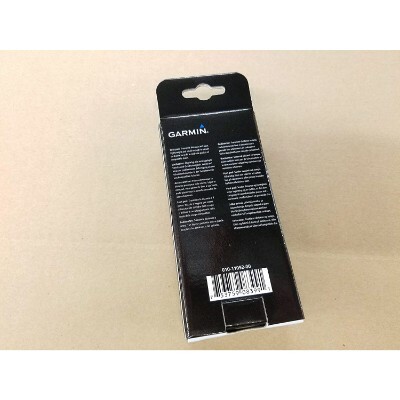 Simply strap it onto your child’s shoelaces and send them out into the world, as long as the Garmin is connected to your phone, you’ll be transmitted back data. This is a neat little device that’s super discreet, chances are your child will probably forget they’re even wearing it. This sneaky little sneaker GPS is great for kids who can’t be bothered carrying their backpack or a bag everywhere. Since it simply hooks onto their sneakers, it’s super minimal and won’t be in their way or inconvenience them in the slightest. If you’re looking for a tracking device that will have your child’s movements down to a T, the AMERICALOC GL300W will do that for you. Not only will this GPS track when your child is on the move, but it’ll even track how fast they’re going and when they stop. You have a choice of five different plans that continue at various intervals for up to a year. With each plan you have the option of getting alerts every 60, 30, or even 10 seconds -- Ah, the beauty of technology! It’s all happening in real-time and you can be sure that you won’t miss a single beat with this advanced tracking system. The highly detailed map data is definitely something that caught our attention with this tracker. So many GPS devices out there will give you a plain ‘ol map with not much to go on, but the story is quite the contrary with this little tracker. When compared to a quarter, this tracker is maybe twice the size with just a hair more. That makes it discreet enough for your child to carry in their bag, pocket, or even in their hand in the event that they don’t have either. The data is all sent to you via a map that’s very well-labeled and laid out, and detailed enough to pinpoint your child’s exact location at that moment. In addition to that, you’ll also receive real-time alerts on your phone whenever you want to know if your child’s movements change. This little magnet has some seriously powerful tracking power behind it. 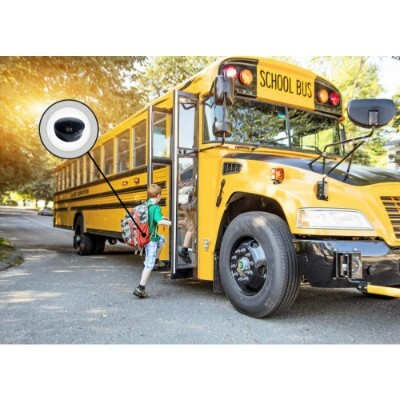 For starters, let’s discuss the fact that it is magnetic - This means that you can attach it to literally any metal surface (aside from aluminum) and it’ll adhere and track that objects whereabouts which, in turn, can be your child’s whereabouts. The addition of a magnetic back to this GPS tracker puts it somewhat a step above the rest. Not only will you be able to adhere it to anything metal that your child is carrying, but when it’s not in use you can just stick it to the refrigerator to keep from losing it since it is so small. When we say this tracker is small, we mean it is a teeny, tiny round device. That makes it perfect for storing in your child’s bag but can be stuck in their pocket easily for constant coverage, all day long. Does your child have a magnetic lunchbox? A magnetic pencil case in their backpack? Bingo! This makes it super easy for kids to deal with as well since the device will be well-hidden and they can practically forget it’s even there. . Depending on what you need, there are five different options that will surely fit your budget. This smartwatch has an overwhelming number of features but the only one that we really care about is the GPS tracker. 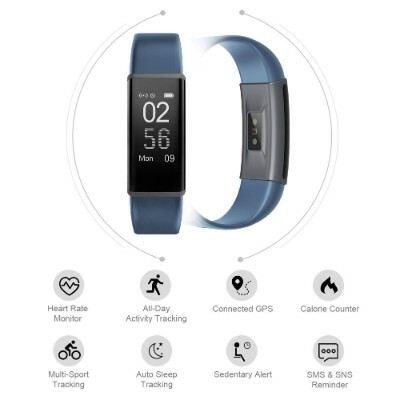 Similar to the other fitness watches, this one calculates the distance traveled and will automatically send the info over to the smartphone it’s connected to. This is highly useful again, with teens who are always on the move. It’s great for kids who are involved in sports as well, because not only can the GPS data be useful to you in the event that you’re not sure where they are, but it can be helpful to them as well to track their distance and see where they’ve been. 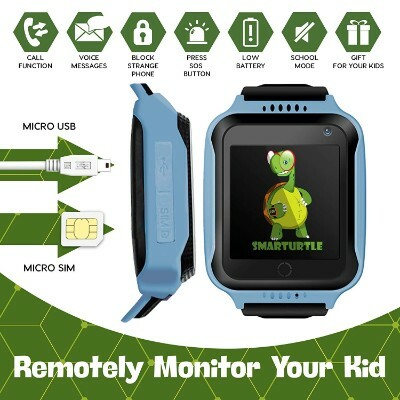 If your child is one who loves to go on walks, jogs, or runs by themselves, this watch is definitely a must-have so that you can keep an eye on them, while they keep an eye on their sports stats. This LETSCOM watch is essentially a smartwatch and a smartphone all wrapped into one neat little package. It’s just stylish enough that kids will want to wear it, which is great because you’ll be able to track them whenever they do. All you need is a smartphone that works, wifi or data, and you have your tracked results. 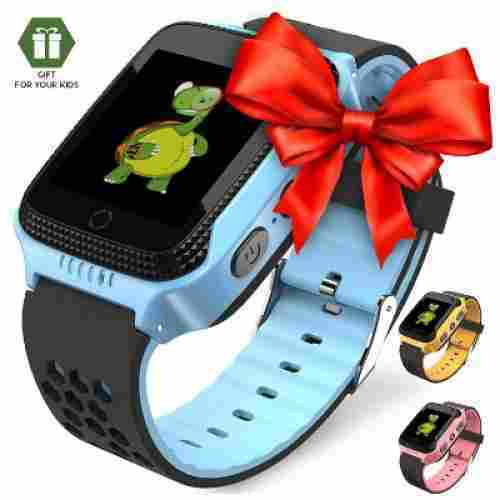 Lightweight, with a bright display and several different shell colors to choose from, this watch will tickle technologically savvy children--and ones new to the world of screens, as well! You can receive one way emails and SMS messages, and it will alert you when someone is trying to call your smartphone, so your little one will always know when you’re trying to get a hold of them. 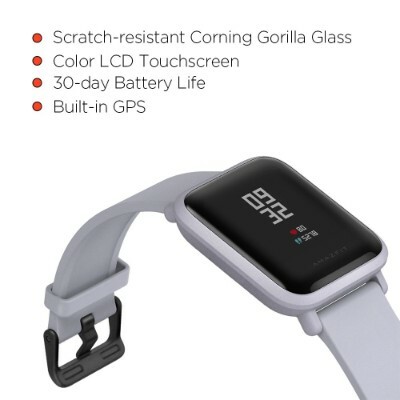 Amazfit offers a thirty day refund policy with their product, as well as a twelve month replacement warranty, so you know you’re risking very little but still winning big with this design. It’s got a ton of bells and whistles. It doesn’t work with 3rd party apps, but there’s enough built specifically for this watch that we don’t think you’ll miss those other apps. And especially given how cost-effective this option is. 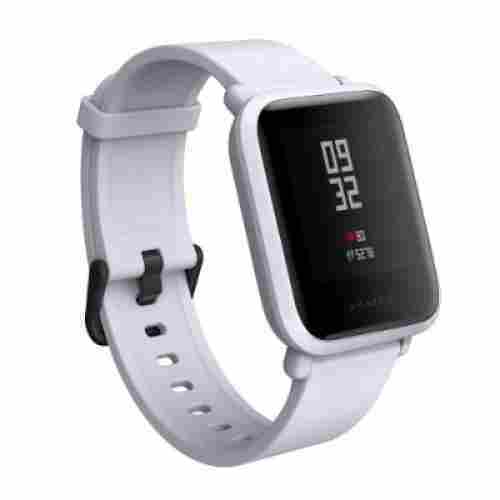 You can use the Amazfit Bip for up to thirty days, powered by a single two and a half hour charge, depending on how frequently you use it and with which applications. 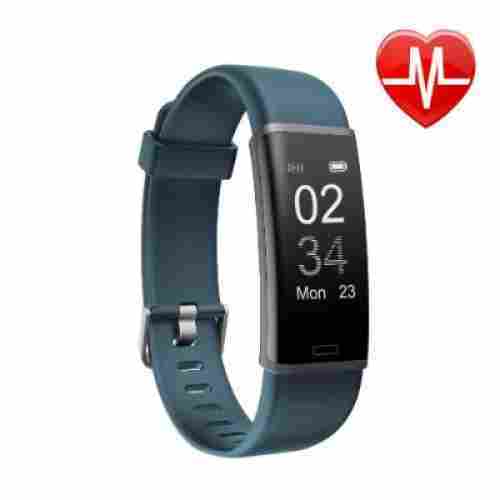 It monitors heart rate, lets you know what the optimum range is for your health, and features a GPS tracker, step counter, and sleep monitor. It looks grown up, so older children especially will like the sleek, stylish design, making it less of a hassle to get them to wear it. This watch is a happy compromise for kids and adults alike. Adults will like being able to see where their kids are heading via the GPS feature (which syncs with Google Fit), and kids will love their cool new gadget. It also monitors heart rate and sleep patterns, so parents can get further insight to their children’s health. 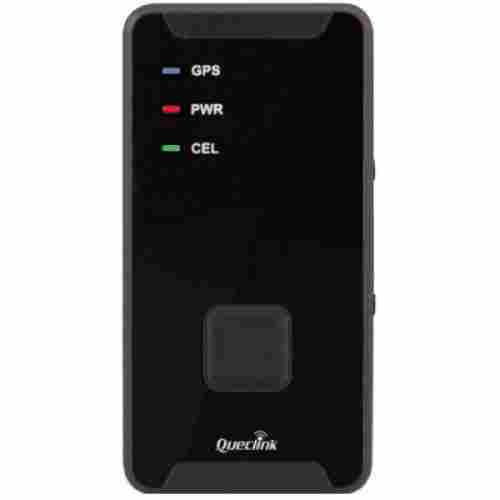 Out of all the GPS devices we’ve listed so far, this one has the cheapest monthly tracking plan by far. 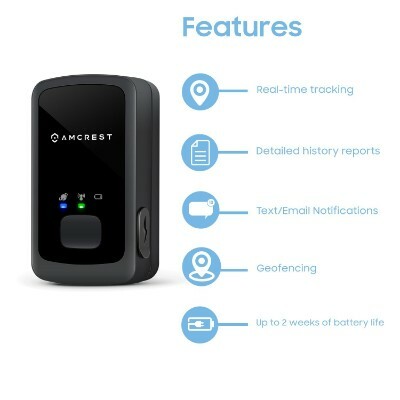 It’s a great option if you’re looking to get a legitimate GPS tracker that will actually send real-time updates and provide you with step-by-step tracking, this is a solid choice. 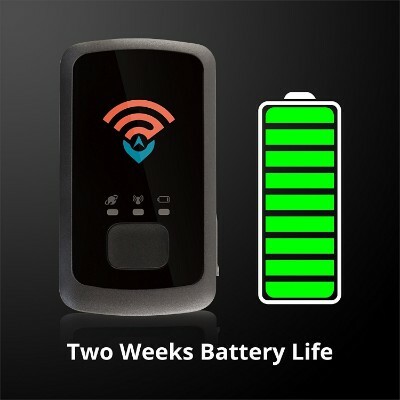 This tracker has an unbelievably long battery life and can go up to a full two weeks without needing to be charged again. That means you can stick it in your child’s back and practically forget about it for a full 14 days (although it is good to charge it every week at least) For such a well-priced tracker, this device has a myriad of options that allow you to customize yours and your child’s GPS experience so that you can get the most out of the money you spend on it. The device itself is not much bigger than a cigarette lighter, making it discreet -- out of sight, out of mind! It’s also somewhat customizable and you can actually set specific zones for your child. If they cross out of bounds, you’ll get an alert immediately sent to your phone. 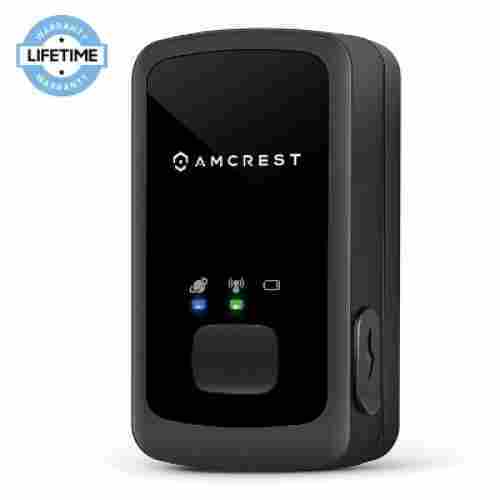 In addition to all of these features you get at such a great price, the Amcrest support team is another feature you’ll have access to. They promise to address your issue and troubleshoot in one day, which is helpful if your child is in need of GPS tracking quickly. You can also set certain speed limits on this GPS as well, which makes it an awesome choice for teens who are just learning how to drive and might enjoy having a lead foot a little bit too much. As far as immediate and easy GPS tracking, this smartwatch is among the most user-friendly interfaces. The SOS button sells this one for us. You can program three emergency numbers in and the watch will keep calling until one emergency contact picks up, so children don’t have to try to dial again and again when they might be in a state of panic. You can simply dial a number and the watch will answer and allow you to see and hear where your child is and if they’re alright. We strongly recommend talking about this function and using it wisely, as children don’t take kindly to their privacy being violated without their consent. But it is possibly one of the safest products, and even features an emergency SOS call system, which cycles between up to three emergency numbers until someone answers. A dual positioning system allows you to see where your child is on the map in real time, and a classroom function lets you dictate which hours of the week the watch will turn off so kids can stay focused during their lessons. This smartwatch has the easiest GPS system to use for kids and parents alike. The SOS function is user-friendly; kids just need to push the button and hold it down for three seconds. You’ll be able to see where they are with dual-positioning technology, and can even call to check in on them. This watch also features an alarm app, a sleep monitor, a pedometer and more. Everyone in the family is bound to be happy with this smartwatch. The same people who brought you the Garmin GPS now bring you the Garmin Forerunner 25, a unique watch that has the ability to track your location. The great thing to come out of the age of running is that all of these sports devices offer GPS tracking, which is really perfect if you have a highly active child. 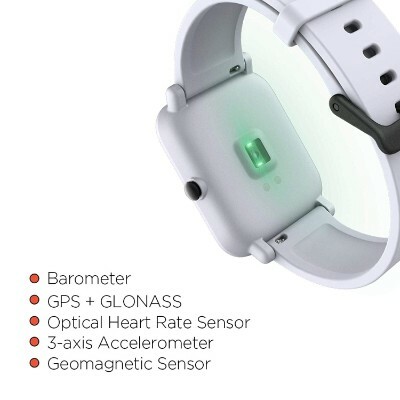 This watch appears to be a real watch upon first glance, but what the rest of the world won’t know is that you’re actually receiving data on where your child is. 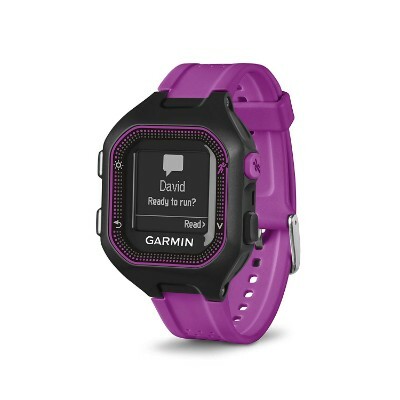 This watch would be great for an older teen who can’t really be bothered to carry around a tracking device. This watch is stylish as well as a helpful measure in keeping your child safe. 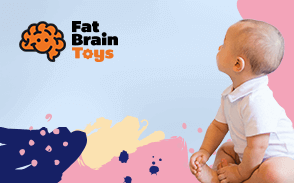 It comes in five different designs and colors so your child will actually want to wear it every day. For anyone concerned about finding out that they have a GPS tracking device on them at all times, this watch is perfect. Kids can just say that it’s a normal sports watch and it’ll actually be believable, because it is - with an option for GPS tracking, of course! 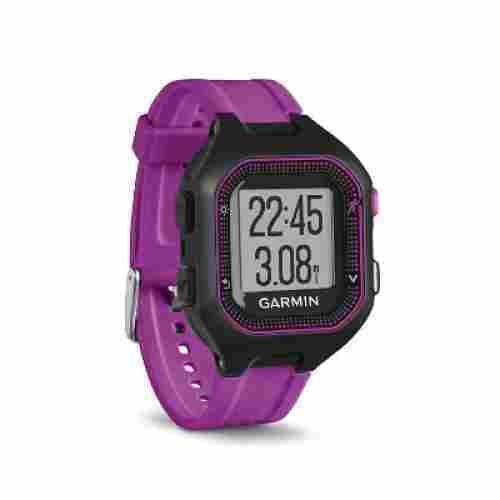 Similar to the Garmin Foot Pod, this watch was intended for tracking walking routes. Using the same principle, this device is perfect for teens who are always going out with their friends and usually get around on foot. With this watch, you’ll be able to monitor the paths they’ve taken and keep an eye on them without being too overbearing. Being a parent of a kid in the digital world can be tough, but it also offers its advantages as well. 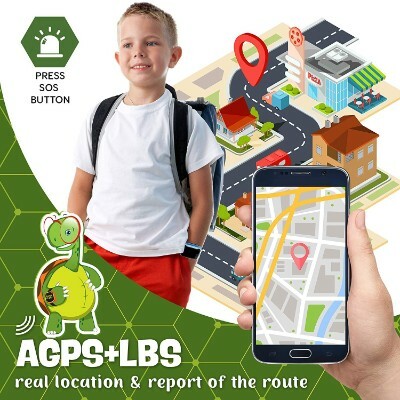 The benefits of kids wearing or carrying GPS location devices that allow them to be tracked anywhere at any time, give parents more control over kids and also the ability to try and keep them safer. GPS-enabled devices have grown hugely in popularity over the last 10 years. They are now super discreet, track fast, and come all different types of designs. The most popular with kids are the smartwatches and tracking tags. When you are able to track your child, we find that you worry less and have less anxiety throughout the day, allowing you to focus more on your activities. With GPS devices that track and also alert you when kids have left their safe zones, parents feel they are more in control of their movements without having to be right by their side. This also helps teach kids responsibility and accountability for their choices. 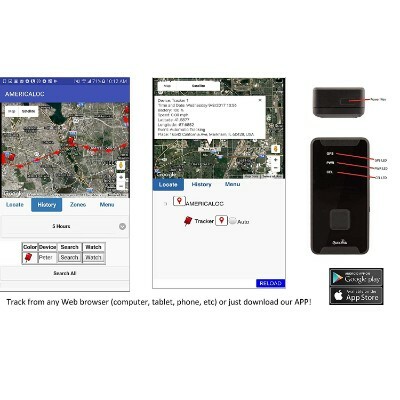 GPS tracking-enabled devices offer features that benefit both parents and kids. hen selecting a GPS tracker for your child, you want to make sure you pick the best one for them. The tech world offers a wide variety of devices that have many of the same features and then branch out into different specialties. When selecting a GPS tracker for your child, you want to first make sure that they will wear or use it. That is the most important thing. If they are not wearing it then it will not do its job. Once you have established the device that they will wear or take along with him, then it is time to decide on features. 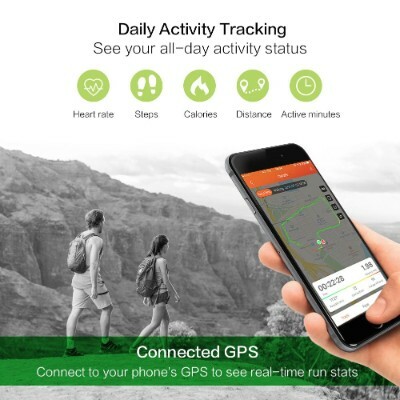 Many smart devices on the market offer GPS tracking. One of the most popular is a smartwatch. They offer many features and look cool as well. If you decide on a smartwatch that is GPS enabled, then look at the features of many of them. It is great to have a device that tracks your child's movements but also offers them some benefits too. Many smartwatches have features like fitness trackers, apps to play games, or even cameras. Whatever your child's passion, there is a smart device out there that has a GPS tracker. Just do your research. How do you choose a GPS tracker especially for kids? We had to look at the portability of the device. Kids have very small frames. As such, it is very important for us to choose devices that are very convenient to carry. And if it can be worn by kids inconspicuously, we took that into consideration. Additional features of the device were also examined closely. It would be more fun for kids to have a device if they have some additional use for it. Power is a major consideration in the selection of these devices. It would be useless to get a geolocator that doesn’t last as long as you want it to. It is, therefore, crucial for us to choose only those that have superb battery life, otherwise, it would simply be senseless to have an electronic device that you cannot even power on when you need it the most. We also considered what other consumers think about these geolocators. Those who already have a first-hand experience with the use of these products were taken into consideration. This gave us the guarantee that your kid will be much safer as you’ll know exactly where he or she is. Unfortunately, not everyone is happy about these products. But for those who are, we tried to determine what about the product that made them feel very satisfied. And for those who had negative experiences with the product, we tried to examine closely whether their reasons were justified or not. We do recognize that some have higher expectations than others. It is crucial for us to determine whether those negative things about the product are deal breakers or not and whether these are isolated cases or a sign of a more pervasive problem. Going out every weekend can have a lot of benefits to the family, especially children. However, going out to a place where no one is familiar can be a frightening experience. This is especially true if you are going to participate in certain activities where there are a lot of people. While adults can easily navigate their way out of the dilemma, children may not have the faculties to do so. As such, it is important to ensure the safety of your children whenever you are going out to a place that’s unfamiliar to you. When it comes down to it, none of us want to think about our child being lost, ever. Sometimes situations happen though, and having direct access to some sort of GPS tracker can drastically improve a situation should the event arise that your child wanders off. All of these trackers have the ability to pinpoint exactly where your child might be and will help you to reach them. Many even have the option of communication, which not only puts your mind at ease but will make them feel safe every single time they leave your side. GPS trackers don’t need to be expensive and obnoxiously obvious to work, and we’ve brought you some of the best out there. >First, you need to strategize. You can easily discuss with your family things everyone needs to do in case they get separated from the family and get lost. You can decide on a meeting place at a particular time of day for meet-ups. Make sure that everyone truly understands the place where you are going to visit so that everyone knows where the meeting place is. For kids, it is important to teach them who to approach in case they get lost. Uniformed officers such as policemen will be their primary resource persons. 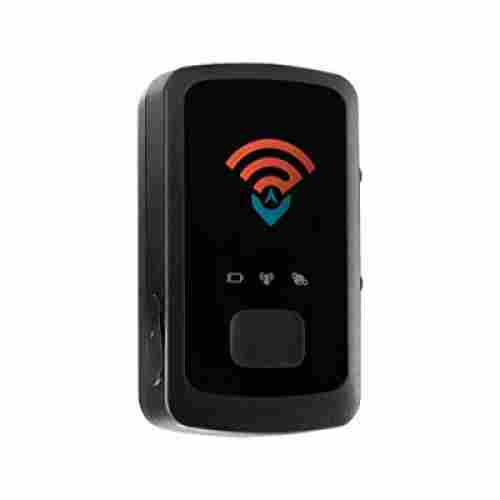 The wearing of GPS trackers can also help; just make sure that all of these devices are functioning properly. Going on a trip with your kids can be made more fun if you can avoid one of your family members getting lost. Planning and vigilance are needed to help make this happen. Many times, especially with teens, kids can feel like the introduction of a GPS into their lives is an invasion of privacy. It can make them feel as though you don’t trust them even if you argue that’s not the case, and they might feel like their personal space is violated. Individual GPS devices will only add to this feeling of restriction and lack of independence, therefore, we’ve included several smartwatches on this list that can help the situation. Overall, your goal is simply to keep your child safe and be aware of where they are. Your goal (excluding certain extreme situations) is only to ensure that they’re not in a dangerous place, and heading somewhere they’re not meant to be. To them, they see it as you monitoring their every move and not letting you out of their sight. A GPS tracking watch can drastically help the situation by introducing GPS tracking to them in such a way that seems cool and hip. 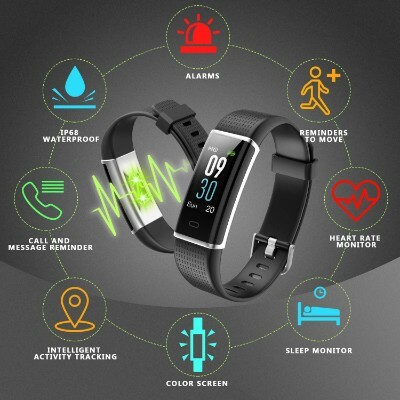 All of these watches include extra features, mainly related to fitness, but some even have apps and the capability of making and receiving phone calls and sending and receiving texts. To a teen, this can be seen as something really fun to wear and might encourage them to get on-board with wearing it whenever they go out. It won’t be a specific device created solely for the purpose of tracking them, per se, but it’ll be a step in the right direction and comes with a much easier conversation (and a much cooler-looking GPS device!). How do you decide on a plan? We’ve already established that many of these GPS devices come with monthly plans that allow you access to special features. 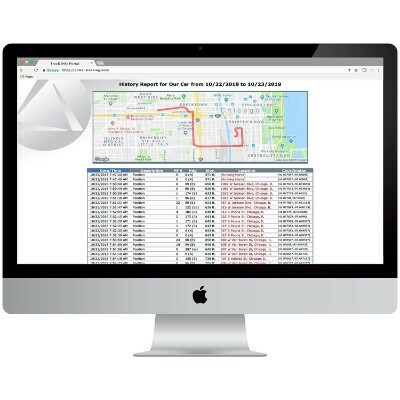 Many of these features include real-time alerts at second intervals, extended mapping, specialized alerts, zoning, etc. What it comes down to is what’s right for you. Ask yourself these questions: Where does my child go? How far do they walk or drive? How close are their hangouts and how often do they leave the house? Is my overall neighborhood safe, or do I need alerts frequently? All of these will help you to figure out what type of plan is right for you and will put your mind at ease. There are choices for every budget which allows for a much easier choice as well; when it comes to your child’s safety, you can’t put a price on it. q: How long is the battery life on one of these trackers? 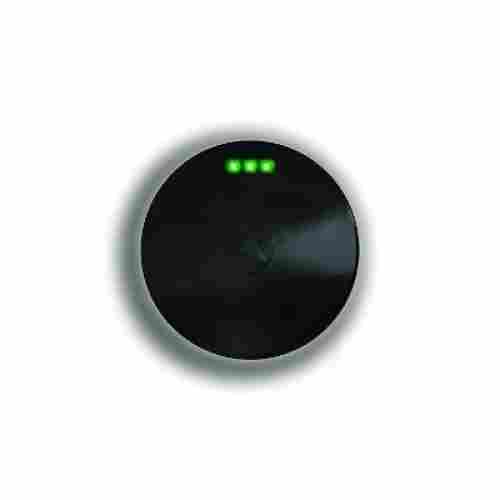 The battery life varies based on the type of tracker that you choose. Many last up to a week and some can even make it to two weeks, however, you should always make it a regular habit to charge them weekly. q: Is this easily concealed, for instance, could I stick it in my child’s bag without them knowing? Many of these are fairly small, some much smaller than others. While your child might eventually find the tracker, most of these are small enough to be placed in a small backpack pocket that your child might not open frequently. q: Will they track my child in the car as well? Yes. These GPS devices are capable of keeping up with car speeds and many will even alert you as to how fast your child is going. The fitness watches might not keep up with higher speeds, though, therefore you’d need to check those individually. q: Will weather affect the GPS signal at all? In all likelihood, the weather is probably not going to be a factor when it comes to tracking location. Since signals are bouncing off of satellites, it’s rare. However, if you do find yourself with an issue, don’t hesitate to call the customer service line. They’ll be more than happy to help you out! q: Can I get a free replacement if a tracker happens to get lost or damaged? That depends on each company’s policy, however, if a tracker is damaged you shouldn’t have any issue getting a replacement or a full refund. If one is lost, you might have a bit of a difficulty. q: My child is going on a school trip that involves being underground and in low-signal areas. How will the GPS satellites work in a situation such as this? GPS trackers work a little different from cell phones and as opposed to holding a signal for phone calls, they hold a signal to pinpoint a location. Signals are constantly bouncing off of satellites to continuously update a certain map region. Therefore, they’ll work very similar to the GPS you’d have in your car or on your smartphone. You’d still have a map and the alert to where your child is regardless of whether they’d have actual cell phone reception, and if anything, the signal would be paused and resumed as soon as they were able to be back in satellite range.